This is my honest review about Dhanshree gems. They were best in their services. I purchased a blue sapphire and a yellow sapphire. They gave me 100% guarantee of both the stones that both stones are natural, genuine energetic and pure. They also gave us the return guarantee. I am very satisfied with their work and services. I started wearing the gemstone and it gave me wonderful surprises in life. I recommend Dhanashree gems to my all the relatives, friends and family. And the best thing about Dhanashree gems is their quick response to each and every call and message. Best shop to purchase natural gemstones in Delhi. I bought a yellow Sapphire from Dhanshree Gems last week. I must say that his gems are completely authentic. I got it checked from IGL laboratory and I must appreciate the fact that the gem was a natural sapphire with no heat treatment. If you want to buy real gems at a good price then one must visit Amit Bhaiya of Dhanshree gems. I assure that one must get the best deal there. I bought a red coral a few days back from them. They dont deter from their words. It was completely natural, certified and pure. I am very much satisfied with their product and service. Excellent Advice it's really working. Real and pure natural stone/Gems. Very good and positive results n variety of gems found at very low price. I can say, Mr. Amit Gupta is a perfect gemstone adviser and i can recommend everybody if anyone have issue in their life and if buy any kinds of gemstone so once you must visit to his place. I am a very happy customer of Dhanshree Gems. Wish you good luck in future. I'm from pink city Jaipur the hub of gemstones but I purcahsed a natural ruby from Dhanshree gems ....the reason behind this is the collection and respose from Amit ji. thier prices are too much reasonable and the quality of stone is far better than other sellers. I am glad that today im here at Dhanshree gems for the authentic gemstone. they also provided me a genuine certificate of the ruby. I definietly suggest Dhanshree gems to others for natural and certified gemstones. thank you! I am a resident of Canada. I generally buy products online but purchasing gemstone was quite difficult for me then one of my friend referred me Dhanshree Gems and I am very thankful to her. At Dhanshree Gems site I ordered yellow sapphire and I’m grateful after the purchase. I found good quality and flexibility in price. Words are not enough to thank Dhanshree Gems. I surely keep in touch with them! I was recently recommended a gem stone, white sapphire, by my astrologer and went gems shopping in Noida and Lajpat Nagar. We decided to go to or Chandni Chowk also. While going from shop-to-shop, my husband and I came across Dhanshree Gems. We were immediately impressed by Mr. Amit Gupta, the owner’s ethics and frank discussion. What amazed us most - the price difference and the quality of stones. Though we are not experts, during our research we had learnt to identify stones with incursions and luster. Since I wanted a Tiffany setting, Mr. Gupta discouraged me saying they are delicate and not suitable for daily use - even though it would have cost more to make. If you are looking for stones for astrological reasons, or for getting a beautiful pair of earrings handcrafted, you must visit this Gems shop. We got the best white sapphire at the most reasonable price! I have purchased blue Sapphire from here, quality is too pure and original. 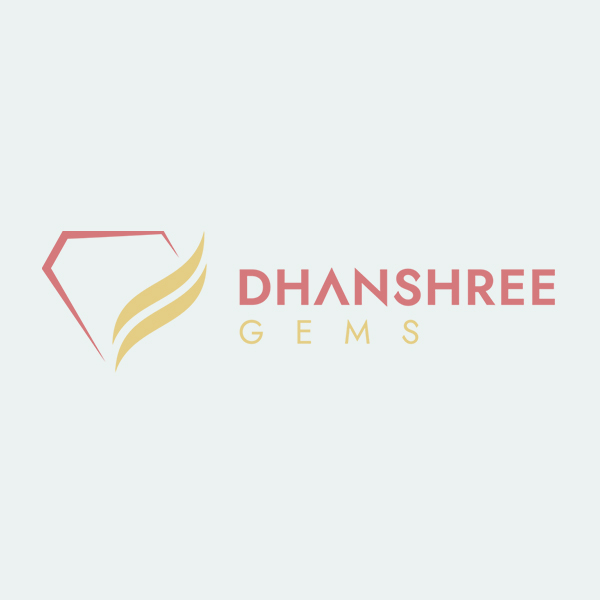 Trust me I dnt know many other places bt yes Dhanshree Gems is very trustable place to buy gemstone as far as i came to know , one of my friend recommend me to take gems from here. Believe me its really genuine and all gems. I truly believe and recommend others as well. Good place to buy stones at reasonable price. The owner himself insists for getting the ston checked from IGI-GTL, jhandewalan which is the right place to check genuinity of the stone. Would suggest to try them. I'm impressed from the work of Dhanshree gems, I felt satisfied they had the huge collection of natural and certified gemstones. Highly recommended place for birth stones! I had visited there, i had lots of queries to them ,they cleared my doubts with satisfactory answers including price, quality and tested products etc....I purchased emerald stone, quality is great. If you want trusted seller so once you should visit there..! !